Disengage the heater inlet hose quick connect clip (1) at the heater core. Remove the heater inlet hose (2) from the heater core. Remove the heater inlet hose clamp (1) at the engine using BO-38185 Hose Clamp Pliers . 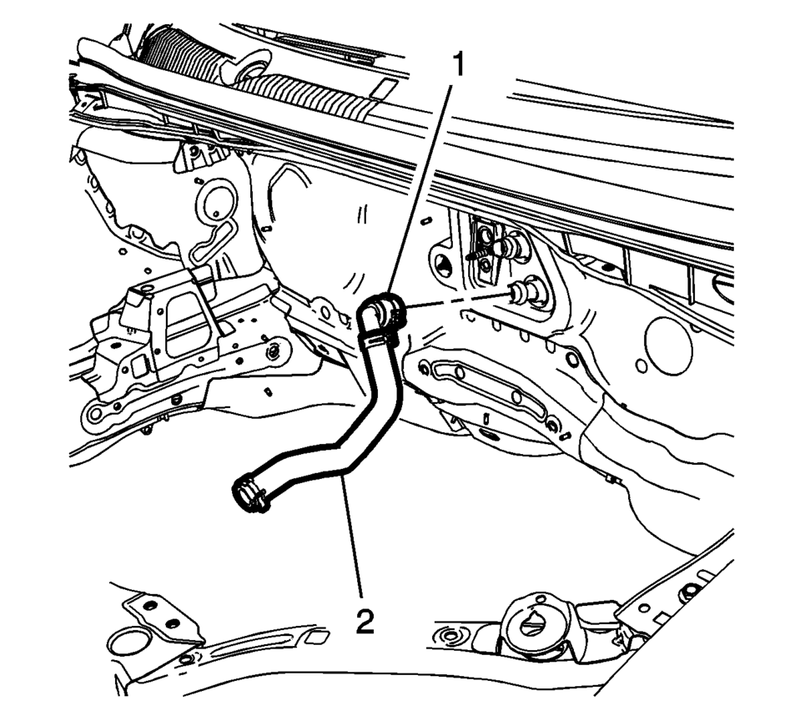 Remove the heater inlet hose (2) from the engine. Remove the heater inlet hose from the vehicle. Install the heater inlet hose to the vehicle. 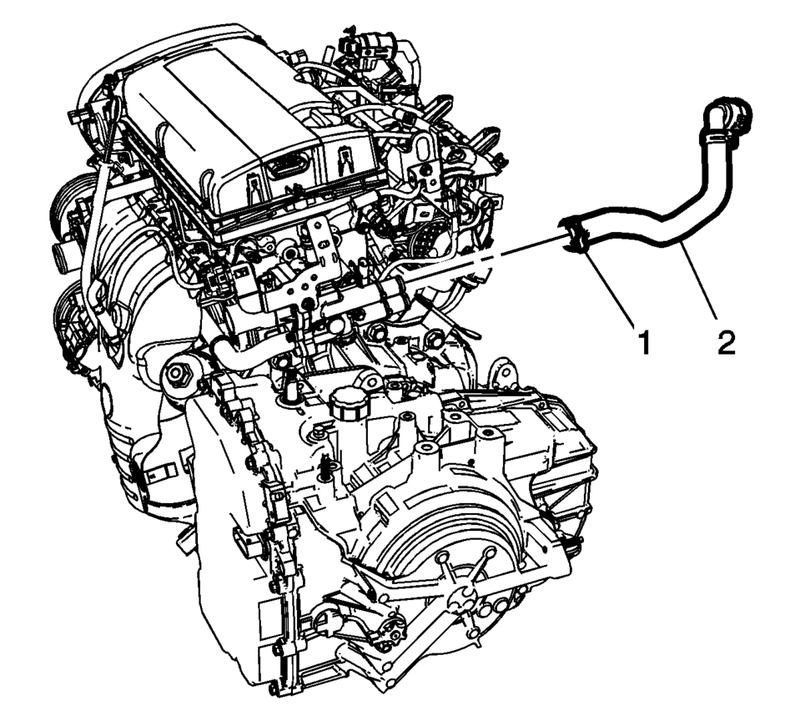 Install the heater inlet hose (2) to the engine. Install the heater inlet hose clamp (1) at the engine using BO-38185 Hose Clamp Pliers . The quick connector has an internal anti-rotation feature. The ensure the quick connector is properly aligned to the heater core pipe, position the white mark to the 12:00 O’clock position during installation. Install the heater inlet hose (2) to the heater core. Engage the heater inlet hose quick connect clip (1) at the heater core.